Hey lovelies! Valentine's Day is next week, and I thought a fun way to celebrate this day of love would be to take a fun look back at some of our favorite loves. Our favorite "Heartthrobs" if you will. Today's heartthrob post comes from a blogger who never fails to stun me with her posts. Whether they are just freakin hilarious, or full of gorgeous images, Mandy of Dash Mandy has a true bloggy talent. Oh man, this post brings back so many wonderful, wonderful memories. Growing up as po' folk, we didn't have any fancy cable. 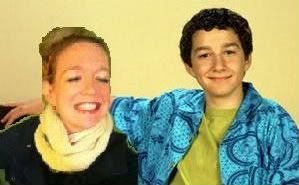 I made sure to always catch an episode of Even Stevens. large nostriled dreamboat bounced onto the screen. I couldn't draw my eyes away from his flowing, unbuttoned shirt over his generic tee. Shia Labeouf was funny and cute and I was in love. and that once beautiful mane became sleek and sophisticated. I'm sad to say that my champion matured. And though many find him handsome now, the appeal for me has gone. Oh that Mandy. So poignant. 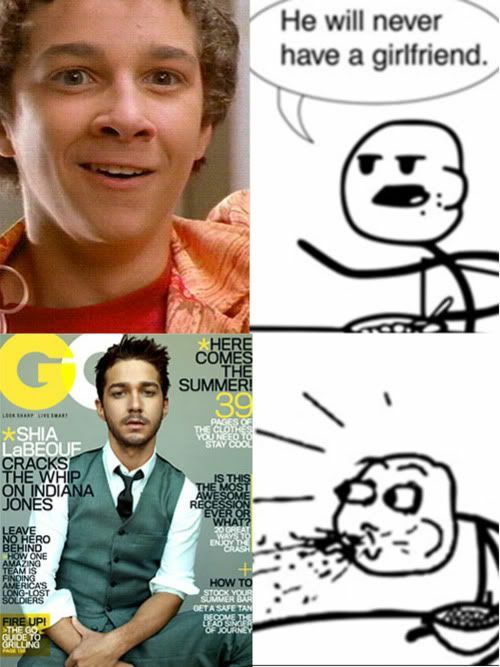 back in the even stevens days he was not shia. he's shia now, but he will be louis forever. oh my gosh! So cute. See, i was not really a fan til he grew up...now he's such a cutie. but thanks for sharing! I love this daily heart-throb. so great! He's the funniest character Disney has created. I feel like all the actors on the Disney channel now are just trying to act like Louis. Ha ha ha ha ha! I love Mandy. She's the best. My heart throb: Zack Morris. Hands. down. andrea. obviously i am missing you because i am loving every second of your blog. shia... what a heart throb. Oh my goodness, you made me giggle. The last little cartoon is hilarious. So fun.